RhinoCo, Inc. has the vision to make health & fitness far more accessible to its users with the help of technology. It is committed to helping everyone achieve a healthier lifestyle by using technology to deliver essential tools, supplements, and training programs to people across the world. 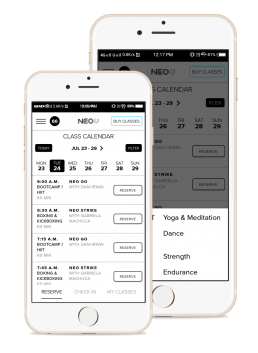 Thus, the idea of NEO U originated and was developed as a distinctive health & fitness platform. NEO U is the flagship concept of RhinoCo. It is a very unique platform with which users can register, buy classes and reserve their spots online. They can also access any class or workout at any time from anywhere in the world, and all this just with the touch of a button. RhinoCo. Inc, is offering this unique platform which no other company has offered previously. 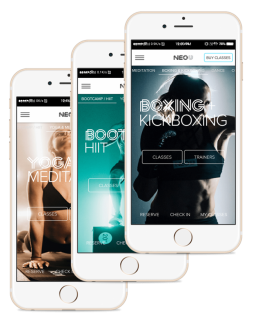 NEO U is the first-of-its-kind platform which uses cutting-edge technology to link individuals to the best fitness concepts and elite trainers together, creating a new generation of workout experiences. In March 2018, RhinoCo. Inc, opened its doors to their brand new state-of-the-art fitness facility in New York City featuring the most talented and dynamic trainers and a wide array of concepts and classes to provide the most well-rounded boutique experience to their members. To live stream and record the classes for their online NEO U Live platform, they use their NYC facility.